Innsmouth issues 1-5 (physical and digital) are now available through my store. Randolph Higgle, lowly door-to-door prophet of the Old Ones, has been promoted from distributing pocket Necronomicons to bringing about the end of days. The only problem is, he’d like to keep any day-ending or any other extra eldritch horror as far away from his Innsmouth, Massachusetts, as humanly (and inhumanly) possible. Does "Book of Mormon meets H.P. Lovecraft" sound like it's up your alley/creek/cursed shack in the woods? Are you here for quality sentient eyeball content? Are you secretly a fishperson? 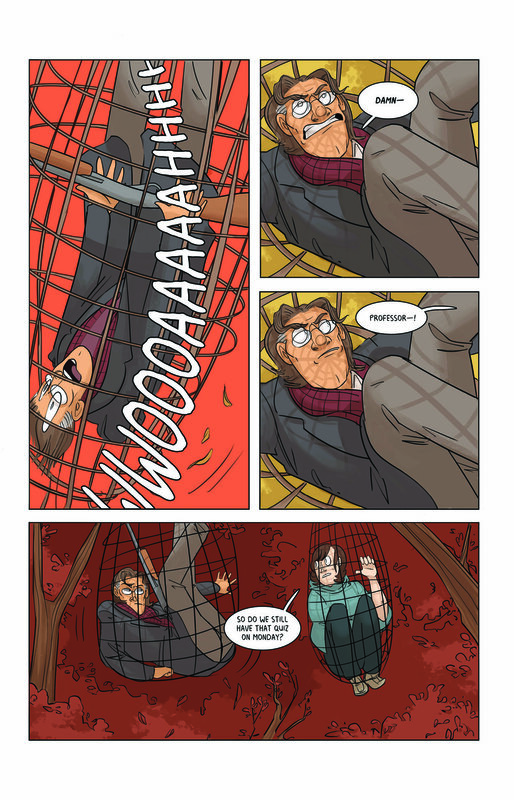 Do you want to support indie comic creators? 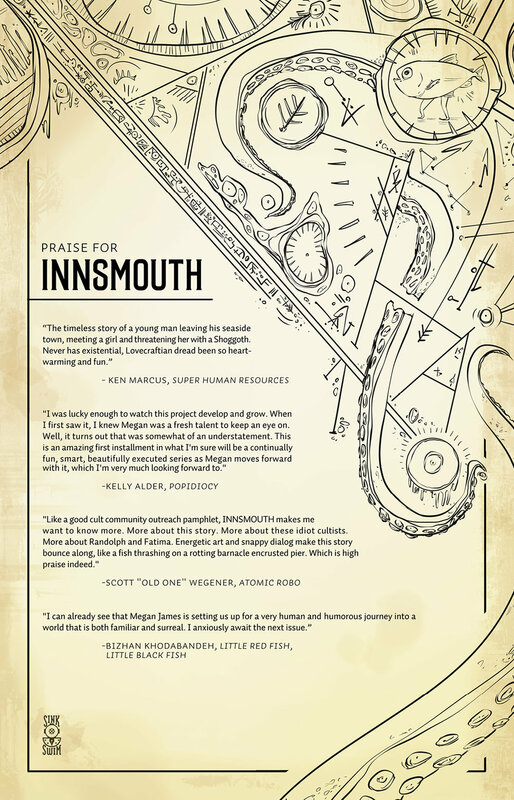 Check out Innsmouth, published with Sink/Swim press!